The savior of Etheria is here as DreamWorks She-Ra and The Princesses of Power brings to life a story of magic, friendship, loyalty, and an epic battle for peace. 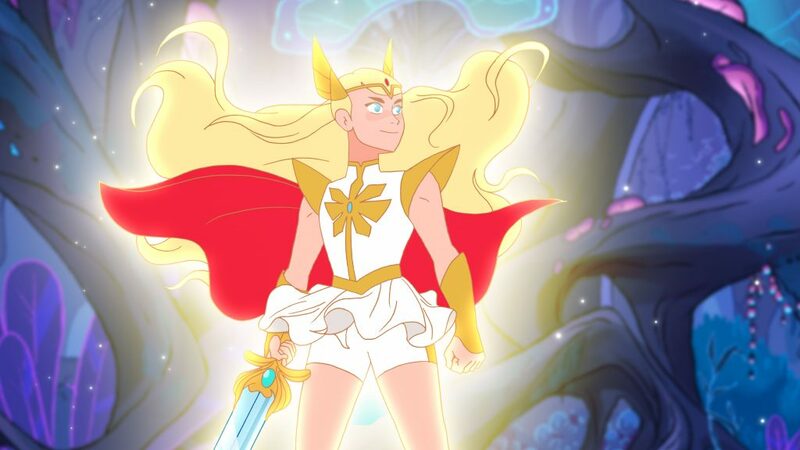 Inspired by the popular ‘80s series, DreamWorks She-Ra and the Princesses of Power tells the story of an orphan named Adora, who leaves behind her former life in the evil Horde when she discovers a magic sword that transforms her into the mythical warrior princess, She-Ra. Set in a world where women are unabashedly at the forefront, the series brings forth indomitable female characters each with their unique abilities and flaws to empower and entertain audiences everywhere. Eisner Award-winning author and executive producer Noelle Stevenson (Lumberjanes, Nimona) and executive producer Chuck Austen (Dawn of the Croods, Steven Universe) present a modern take on the ‘80s girl power icon by giving a generation of young fans a warrior princess that is tailor-made for today. The series will debut Friday, 11/16/18 exclusively on Netflix!